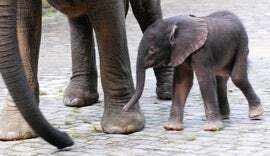 The Ringling Bros. and Barnum & Baily Center for Elephant conservation has announced the birth of its first elephant calf conceived via artificial insemination. The baby Asian elephant is named Barack. Take that GOP!